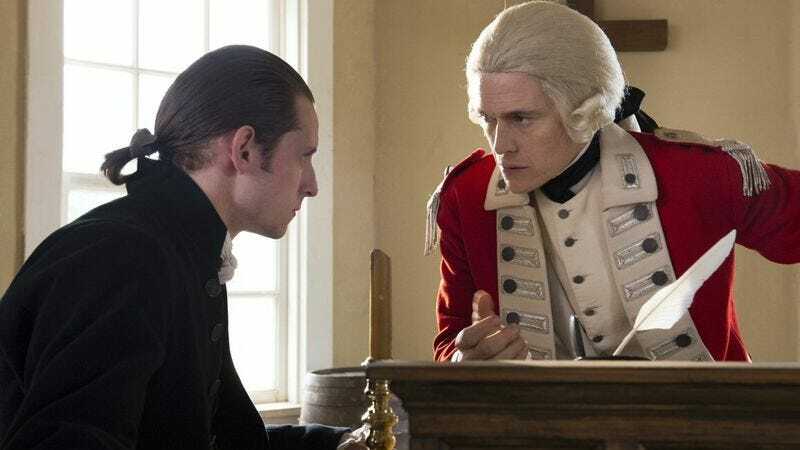 AMC has announced a second season for Turn, its historical drama recounting how George Washington won the Revolutionary War by ordering his troops to stop marching straight into the bayonets of the British. Also, by setting up the Culper spy ring, the drawn-out origins of which interested an average of around 2 million viewers across the show’s first season—a modestly sized audience, but also not all that far off from Mad Men’s following. This summer, AMC will pair reruns of Turn with Hell On Wheels, hoping to grow an audience of people who like to spend their Saturday night immersed in historical reenactments, symbolic parallels to modern politics, and guys with dirty faces. It’s also hoped that fans could be attracted to the second season of the spy show with the addition of some actual spying.